Bishop John Goddard, has announced that he will be retiring as Bishop of Burnley on 19 July 2014. On hearing the news, Bishop Tony Robinson, the Chairman of the Council of Bishops, said: "Bishop John has announcement his retirement from active service. 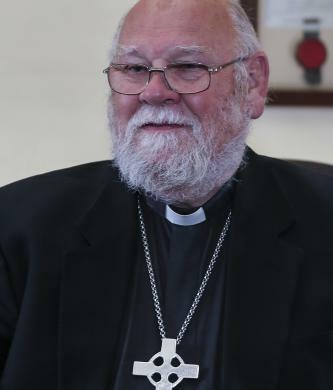 He will be missed by clergy and lay people in the Diocese of Blackburn and beyond. He has been one of our leading bishops over the past thirteen years making significant contributions at General Synod and in the House of Bishops. We wish him and Vivienne a long and well deserved retirement." I am delighted to welcome the appointment of Canon Jonathan Goodall as the fifth Bishop of Ebbsfleet. Canon Goodall has been working at Lambeth Palace for the Archbishop of Canterbury for the past eight years and has enormous personal knowledge of the Anglican Communion and the Church of England. He is well placed to continue to make a significant contribution to the Church at national level. He has been a member of the Society of the Holy Cross for the past 20 years and will be known to manyof the catholic clergy. The parishes and clergy who look to the Bishop of Ebbsfleet for pastoral and sacramental can be sure that they have a worthy successor to be their new Bishop. Please pray for him and support him as he prepares for his Consecration in September and he begins to visit and get to know you all.